There are a lot of people who believe dogs are strictly carnivores, but as it turns out, that’s not true. If you thought they were, don’t feel bad; millions of dog owners have always thought the same thing, myself included. Canines are actually like us in respect to diet. They’re omnivores, which means they can eat and thrive on a plant-based diet, just as we can. A dog vegetarian diet includes no meat, fish, or poultry. A vegan diet takes is a huge step further, by also eliminating all animal by-products, such as eggs, milk, cheese, and honey. Humans have most certainly been found to live longer, healthier lives as both vegetarians and vegans. So, does this mean that your dog can have a vegan diet as well? The answer is yes, most likely s/he can. If you are considering a vegetarian or vegan diet for your new puppy or changing the diet of an older dog, talk with your veterinarian first as some dogs may not be suited for either of these diets. In addition, you need to know what kind of vitamins, minerals, and nutritional values your dog needs. Because a dog is an omnivore, s/he needs certain nutritional elements that meat provides and you need to make sure that s/he still gets those. Remember, changing your naturally omnivorous pet to a no-meat diet can be dangerous, so talk to your veterinarian or canine nutritionist before you make the change. You want to be sure you are making the right choice for your dog. What’s best for you may not be best for your dog. Also, be prepared to spend quite a bit more than you did for regular brands and it’s possible you may even need to buy additional if the dog food you choose doesn’t have what your dog needs. If you and your dog’s veterinarian or dietitian/nutritionist decide that it’s a good idea to start your puppy on vegan or vegetarian dog good or that your dog will benefit from switching to vegan, here’s a few of the top vegan/vegetarian dog foods. This is actually one of the most positively consumer-rated vegan dog foods and it is perfect for transitioning your dog to a plant-based diet, receiving a five star rating among dog owners who have tried it. [easyazon_link identifier=”B0002SQ47I” locale=”US” tag=”kanaokwu02-20″]Evolution Vegan Dog Kibble[/easyazon_link] is formulated to meet the nutritional levels established by the AAFCO and to meet dog food nutrient profiles for all stages of your dog’s life. It’s 100% complete for all life stages. Evolution is the only cruelty-free dog food formulated to contain 100% of all the essential proteins of raw meat, but from plant sources in the same or higher concentrations. In addition, it’s completely free of animal ingredients and by-products. Instead, it’s made with whole grains and other nutritious vegan ingredients to give your dog the best. No GMO. No MSG. This vegan dog food is high in nutrient, metabolite, and botanical levels formulated to provide optimal health for your dog. Evolution is designed to not only maximize your dog’s health, but his or her life as well. This formula includes everything your dog needs for healthy digestion. Evolution has won several awards for best vegan dog foods. It has won national, international, association, and Reader’s Polls awards as well. In addition, this dog food has top reviews from dog owners who have tried it. Studies have shown that dogs who have eaten Evolution Dog Kibble came back with a clean bill of health. If you want to start your dog on a vegan diet, this is definitely one dog food to consider. [easyazon_link identifier=”B000634HD2″ locale=”US” tag=”kanaokwu02-20″]Natural Balance Vegetarian Dog Food[/easyazon_link] is suitable for all breeds of dogs, but is especially beneficial to those who have allergies caused by common dog food ingredients, such as meat or dairy products. With a combination of non-meat proteins, oatmeal, potatoes, brown rice, and other healthy, natural ingredients, this special formula can help alleviate allergy problems such as upset stomach, skin issues, or irritable bowels. Natural Balance can help to restore your dog’s health when it’s been upset by allergies and their side effects. This vegetarian dog food provides adequate protein, as well as essential vitamins and minerals that your dog needs day to day for nourishment. With Natural Balance Vegetarian Dog Food, it’s much easier to ween dogs off of regular dog food as they especially enjoy its flavor. Dogs that have converted to this dog food have become healthier, more energetic, allergy-free, and have healthier, shinier coats than ever before. Some dog owners haven’t had as great a success converting their dog to Natural Balance, but as with regular dog foods, different dogs just prefer different tasting dog foods. You may have to experiment a bit to find the right vegan or vegetarian dog food to switch your dog to. It would probably be a lot easier if you start your puppy with vegan/vegetarian dog food right from the start. Natural Balance is good for all ages of dogs; feeding amounts depends on breed of dog, age, activity level, and other such elements, sometimes even temperament or climate. 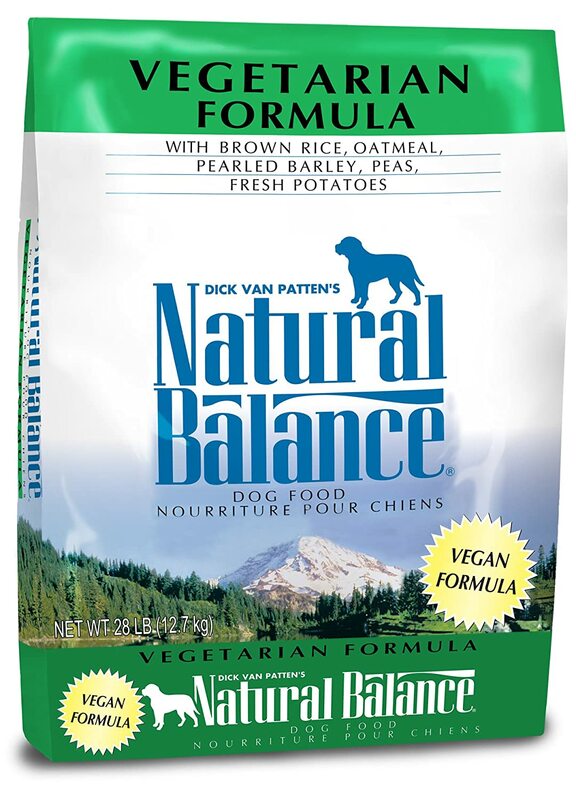 You may have to keep your dog on Natural Balance Vegetarian Dog Food for several months before knowing for sure if this diet is going to be suitable for him/her or not, so be patient. If you are a pet owner who is also a vegan and you want your dog on the same healthy diet, you may have to try several before you find the right one. Remember you may have to add a specific vitamin or mineral. 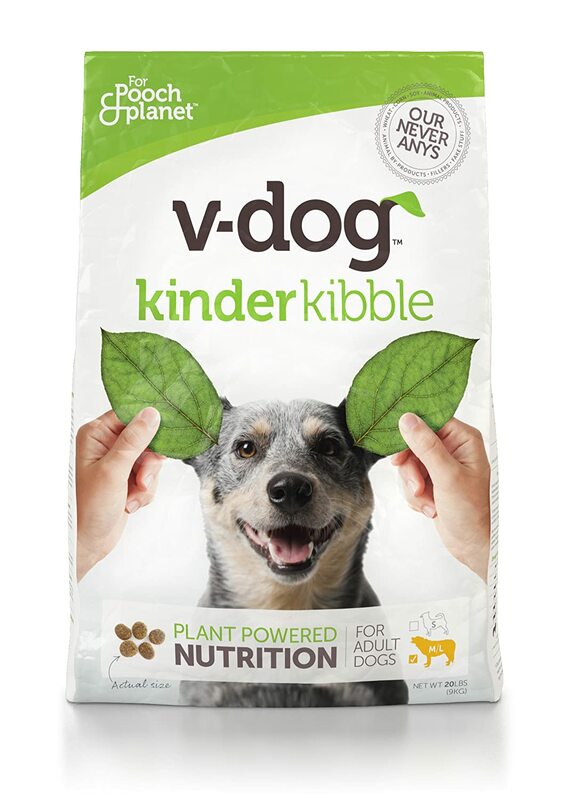 [easyazon_link identifier=”B0086YESK0″ locale=”US” tag=”kanaokwu02-20″]V-Dog Vegan Kibble Dry Dog Food[/easyazon_link] is 100% plant-based with human-grade quality ingredients that helps promote a healthier, greener, gentler kibble for your dog. Made from alfalfa, brown rice, dried peas, lentils, peanuts, and many other top-quality ingredients, this dog food recipe provides 24% non-meat protein combined with essential amino acids and fortified with vitamins and minerals needed for healthy growth. V-Dog Vegan Kibble Dry Dog Food is guaranteed to be free of any animal products, fillers, corn, wheat, soy, gluten, and other artificial ingredients that can cause allergies. If your dog is prone to allergies, this vegan dog food is a great choice. This product makes it easy for vegan dog owners to give their pets the same kind of healthy diet they consume without having to prepare it themselves, saving time and money. 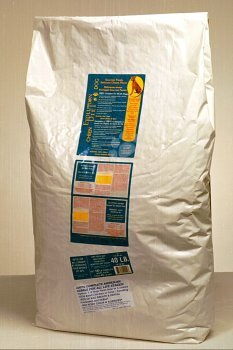 This vegan dog food can be served dry or wet, depending on the preference of the dog, or age. Many pet owners who switched their dogs to V-Dog claimed their dogs were healthier and more active than ever before. The dogs found the vegan dog food very tasty and looked forward to their next meal; proof they enjoyed the taste. Some dog owners substituted this dog food once a day instead of the meat-based dog food so that their dogs still received adequate protein. With so many choices, if you are a vegan dog owner who wants your dog on the same type of healthy diet as you are, you’ll find one that your dog will love. Make sure to talk to your veterinarian or canine nutritionist before switching. Your dog’s health is what’s most important and it’s vital that you understand that a vegan diet may not be right for your dog. Fortunately, most dogs can get suited to a vegan or vegetarian diet if you take time to transition your dog slowly to avoid any digestion problems. If your dog has any issues or problems with the vegan diet, make sure to talk to your veterinarian.